Signature Graphics provides a one-stop facility where a customer can get their printing and related requirements fulfilled under one roof. Our Services include: Graphic Designing, Visiting Card Designing, Brochures, Presentations, Invitation Cards, menu cards, flyers, logo creation and much more. 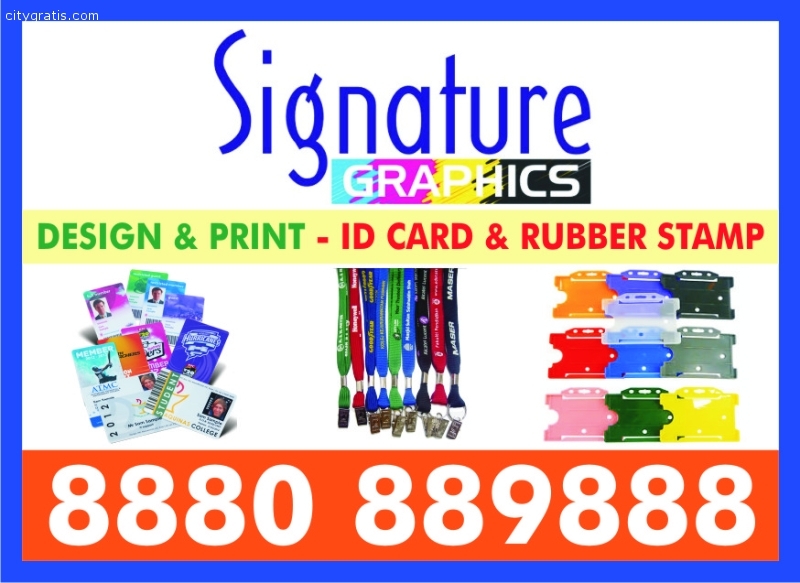 Signature Graphics provides best quality ID Card, Membership Card, Digital ID Card, Promotional Card, Loyalty Card, Discount Card, Scratch Card, privilege Card, school id card, college id card, corporate id card magnetic id card Keychain card and photo id card Lanyard: Promotional lanyard, Dye Sublimation lanyards, Multicolour lanyard. Card Holder: PVC Card Holder and Moulded card holder.